SOCHI, August 09, 17:31 /ITAR-TASS/. 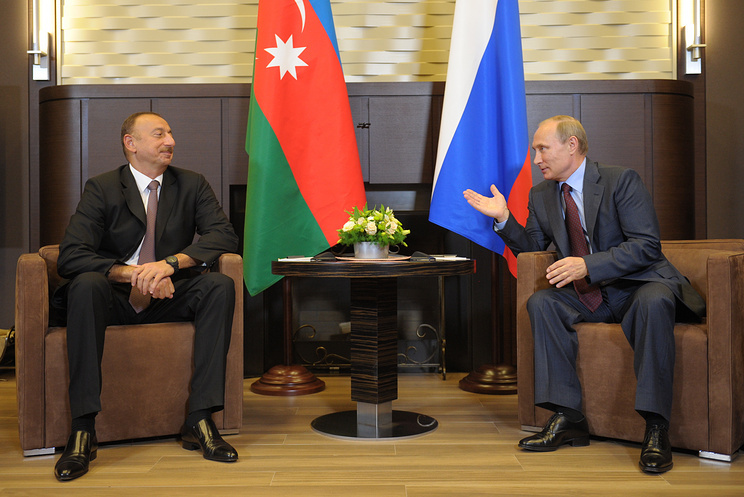 The Nagorno-Karabakh conflict has been on too long and needs to be resolved, Azerbaijani President Ilham Aliyev said at a meeting with Russian President Vladimir Putin in Sochi on Saturday. “We discussed the settlement of the Armenian-Azerbaijani conflict in Karabakh which has been going on for too long a time and needs to be resolved,” the president said. Aliyev said earlier this week that the latest events in Nagorno-Karabakh should stir international mediators into action and noted that hopes that peace were still alive. “Negotiations are still underway and there are certain hopes,” he said. The president stressed that the main mission of the international mediators was to settle the conflict, not to freeze it or strengthen the confidence-building process. 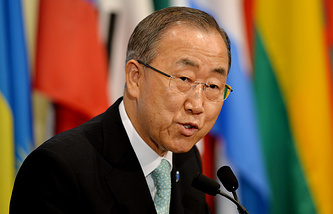 “I believe that the latest events will stir international mediators into action,” he said. He said Azerbaijan wanted peace but at the same time pointed out that the “neither war nor peace” situation could not last forever. Speaking at a meeting with people in the Agdam District in Nagorno-Karabakh, where tensions have escalated lately, Aliyev assured them that the Azerbaijani army “can fulfill any task”. He sees there was no need for mobilisation in the country for the time being. “Mobilisation can be declared if necessary but there is no such need now,” he said, adding that his country would step up efforts towards settling the conflict. “These efforts are going in all directions: internal policy, economic power, military might, and the strengthening of our international positions,” the president said. He said the latest events showed that the Karabkah conflict was not frozen as many international organisations were saying. 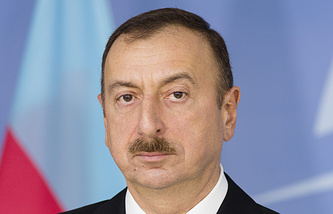 Aliyev said the resolution of the Karabakh conflict would remain his priority. He said earlier that his country was using political and economic factors to resolve the Nagorno-Karabakh conflict peacefully. He stressed that Azerbaijan could solve the problem by force, but “we think the potential of negotiations has not been used up yet”. “Using political, economic and military pressure we will try to get the issue solved peacefully. Our economic, political and military potential is quite strong and this factor will play a positive role at the talks,” the president said, adding that the conflict could not remain frozen. Aliyev regretted the absence of progress in the resolution of the conflict despite the international mediators’ efforts. “We are of the opinion that the mediators dealing with this [Karabakh] issue are more interested in keeping the situation in its present state. Their main interest is in preserving stability and preventing a war in the region. We also want peace. But at the same time we want to see truth and justice restored and international law triumphing,” he said. The president also believes that the conflict should be settled “cardinally”. “Half-solutions can only be an interim step. We should not forget the main goal. The people of Azerbaijan should return to the occupied territories,” he said. He stressed that Nagorno-Karabakh’s Armenians could get a high status of autonomy within Azerbaijan. “We proposed this and this approach is based on the most positive experience the world and Europe have,” he added. The Nagorno-Karabakh conflict began on February 22, 1988. On November 29, 1989 direct rule in Nagorno-Karabakh was ended and Azerbaijan regained control of the region. However later a joint session of the Armenian parliament and the top legislative body of Nagorno-Karabakh proclaimed the unification of Nagorno-Karabakh with Armenia. On December 10, 1991, Armenians in Nagorno-Karabakh held a referendum, boycotted by local Azeris, which approved the creation of an independent state. The struggle over Nagorno-Karabakh escalated after both Armenia and Azerbaijan obtained independence from the Soviet Union in 1991. By the end of 1993, the conflict had caused thousands of casualties and created hundreds of thousands of refugees on both sides. An unofficial ceasefire was reached on May 12, 1994. As of August, 2008, the co-chairmen of the OSCE Minsk Group were attempting to negotiate a full settlement of the conflict. On August 2, 2008, Azerbaijani President Ilham Aliyev and Armenian President Serzh Sargsyan travelled to Moscow for talks with Dmitry Medvedev, who was Russian president at the time. As a result, the three presidents signed an agreement that calls for talks on a political settlement of the Nagorno-Karabakh conflict.